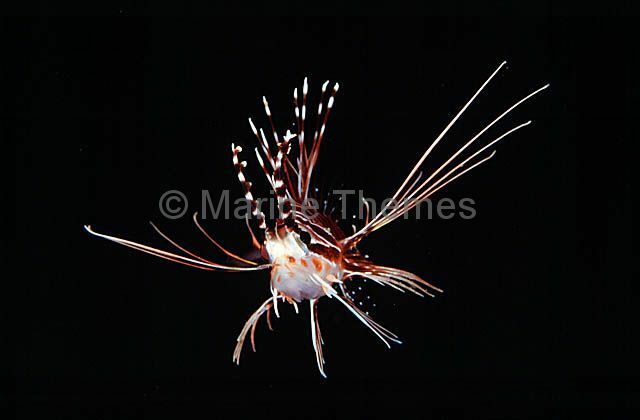 Zebra Lionfish (Dendrochirus zebra) Juvenile. 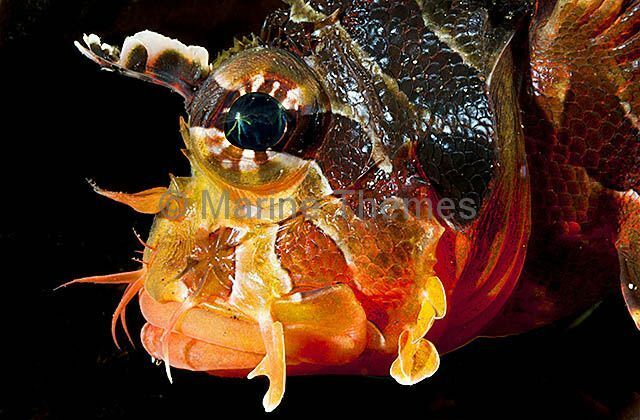 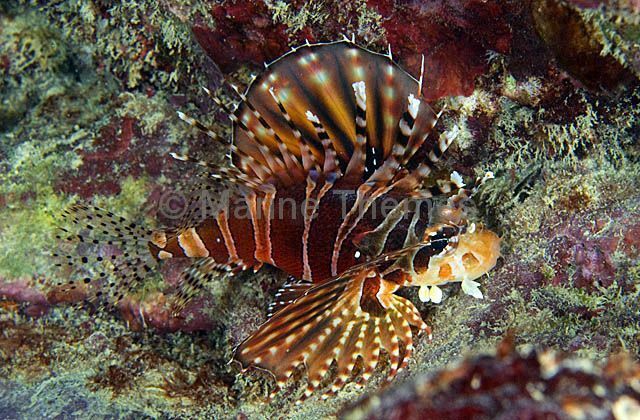 Zebra Lionfish (Dendrochirus zebra) portrait. 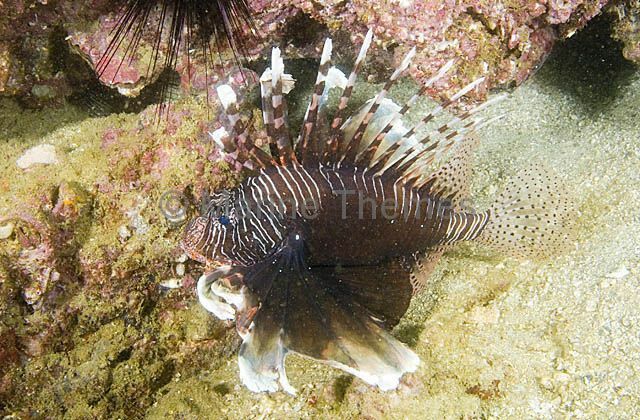 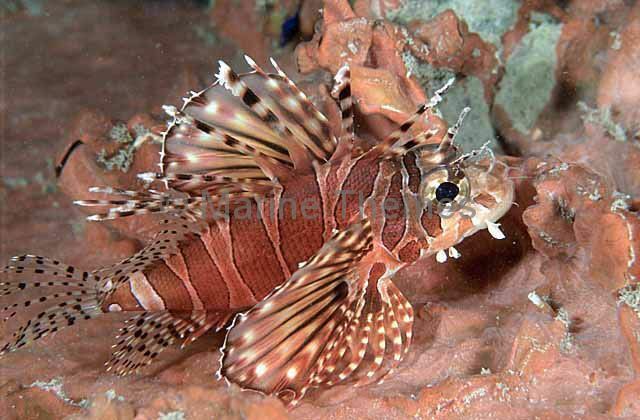 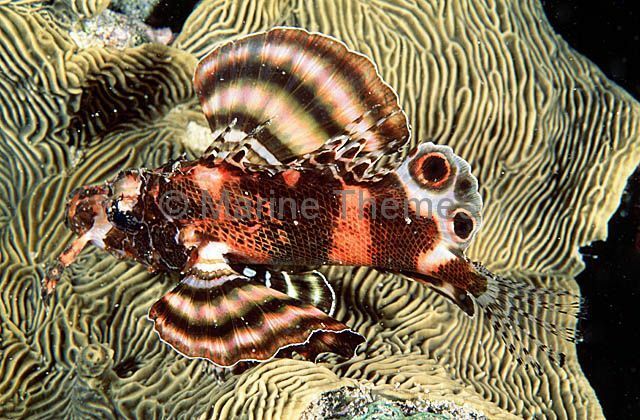 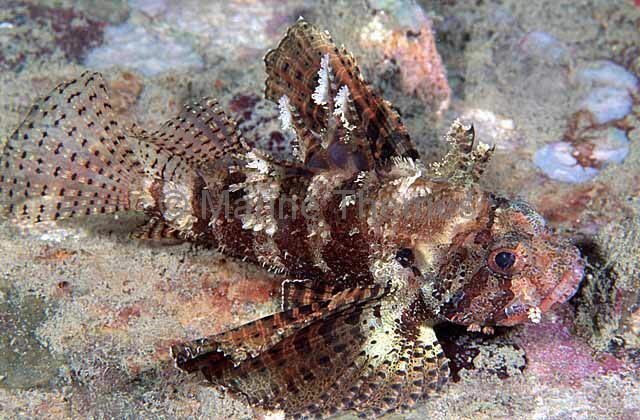 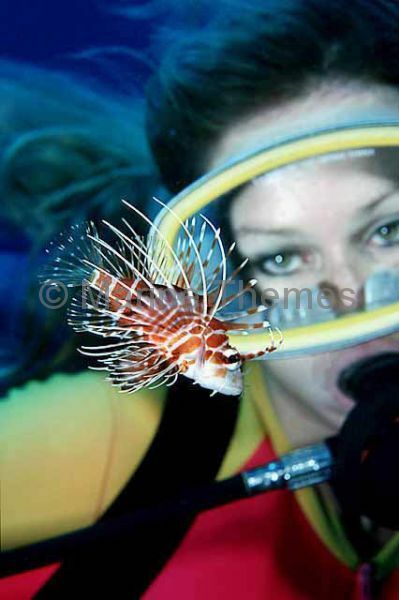 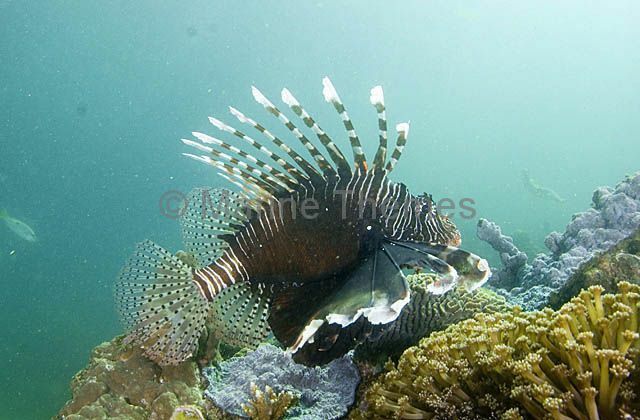 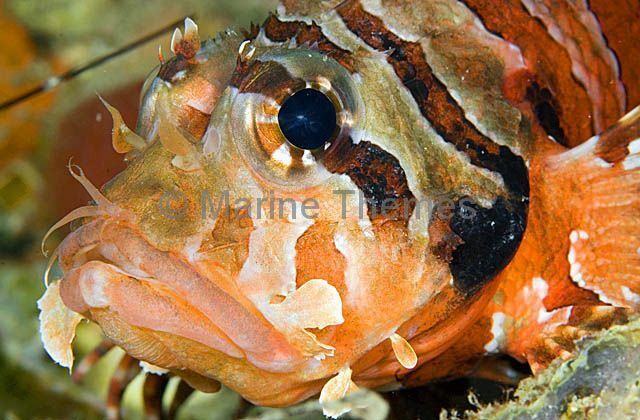 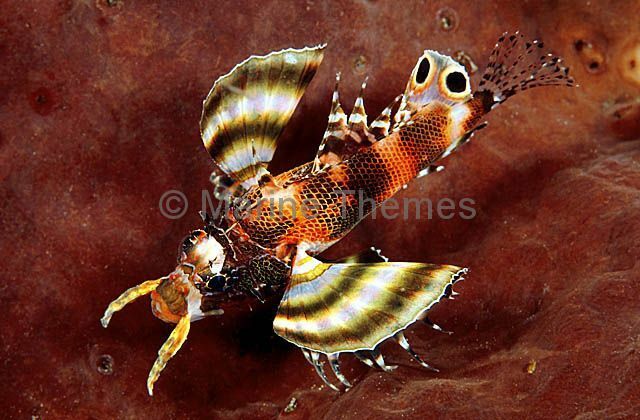 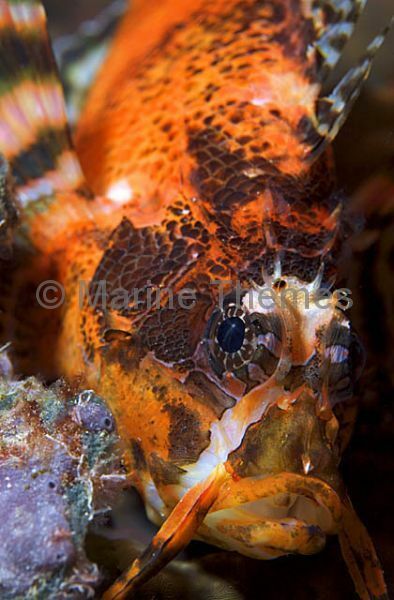 Hawaiian Turkeyfish (Pterois sphex) and diver.